In spring of last year Southwest Medical Associations set out on the road with its new 45-foot mobile medical clinic, a rig complete with two exam rooms, a laboratory, radiology lab and a waiting room and designed to meet patients who might otherwise be unable to get to the doctor for basic checkups and services. In spring of last year, Southwest Medical Associates set out on the road with its new 45-foot mobile medical clinic, a rig complete with two exam rooms, a laboratory, radiology lab and a waiting room and designed to meet patients who might otherwise be unable to get to the doctor for basic checkups and services. The portable doctor’s office, named Medicine on the Move, has logged more than 6,400 miles in Nevada showing up at community centers, churches, offices schools and food pantries, tallying up more than 1,000 visits so far in an industry where prevention, education and early diagnosis are critical. 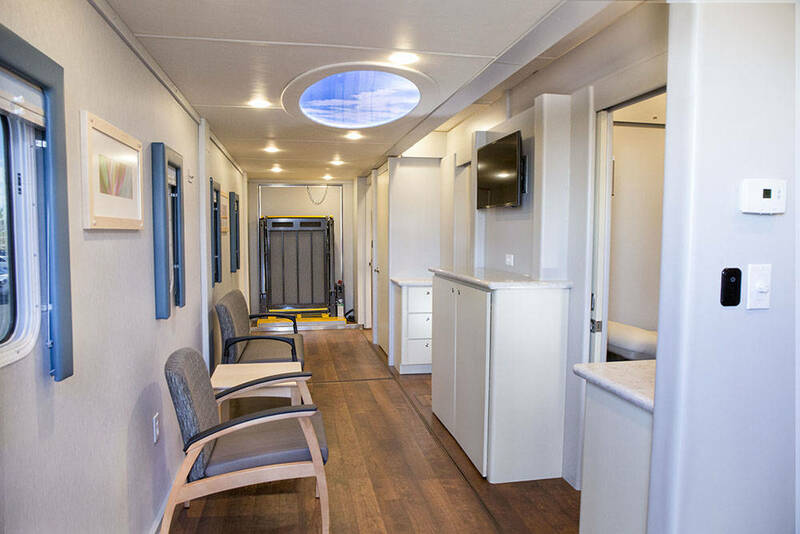 The mobile clinic, a partnership between Southwest Medical and Health Plan of Nevada (which together designed and commissioned it), is part of Southwest Medical’s goal to “bring patients the health care they want, the way they want it,” joining its offerings of e-visits and online options and 30 health care centers. Medicine on the Move, which takes as much as an hour to set up at each site offers pediatric and primary care, immunizations, X-rays, ultrasounds mammographies, physicals and basic lab tests. “We’re breaking down the barriers for people to get access to health care,” Wiggins said.